Starbrite's Mildew Stain Remover is specially designed to remove the mildew stains on your boat when it comes into contact with them. 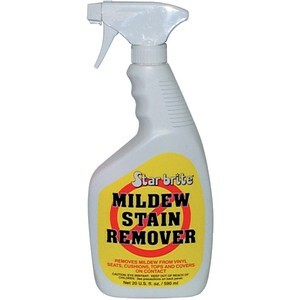 The best part is the Starbrite Mildew Stain Remover is easy to use and requires no hard scrubbing from the user. Perfect for cushions, headliners, vinyl covers and more. Ready, aim, spray!